A growing number of people are making the extra effort to avoid soy—should you? A: Soy is found in so many common foods that most people eat some every day without realizing it—and vegetarians often eat a lot of it. The trouble is that soy has certain nutritional problems that can lead to a variety of health issues. From my perspective, that makes it a food we’re not designed to handle. 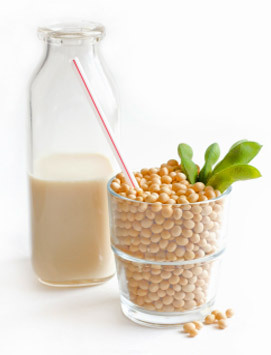 However, soy is so ubiquitous in our food supply that it can be difficult to avoid unless you consciously work at it. But more people are looking at the evidence and choosing to put in the extra effort to do just that. What’s the GMO Situation in Canada? When it comes to avoiding GMOs at the grocery store, Americans and Canadians are pretty much in the same boat. However, there are a few differences. A shortened version of the information I gathered on this topic appeared in “How to Avoid GMOs at the Grocery Store” by Gail Johnson on Yahoo Canada. Genetically modified foods entered the Canadian food system 20 years ago, yet most people don’t know they’ve been eating them because those foods aren’t labeled. 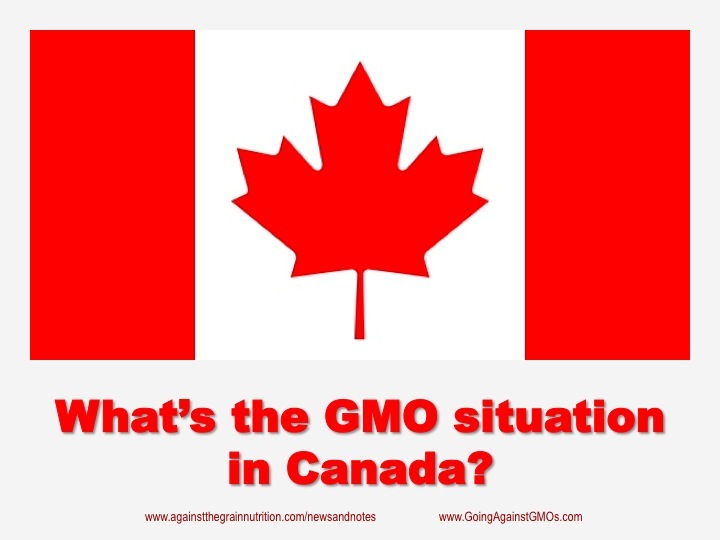 That’s because mandatory labeling of genetically engineered foods isn’t required in Canada (or in the United States) like it is in 64 other countries around the world. But even without mandatory labeling, there’s a growing movement of people who are concerned about genetically modified foods and want to avoid them. Here I answer questions of interest to Canadians about the controversial issues surrounding GMOs, why there’s a movement of people who want to avoid them, and how people can learn to avoid GMOs when they shop.